Our mission at Noble.AI has always been to partner with the world’s most important R&D organizations, accelerating their process of innovation, and helping them bring products to market faster and smarter. Since founding the company in 2017, we’ve worked with many of the largest and most forward-thinking enterprises — across verticals like chemistry, automotive, and materials science — using our unique technology to help them lower the cost of R&D and invent faster. A seed round quickly followed, led by Prime Movers Lab with participation from top Silicon Valley investors including Streamlined Ventures, WTI, OVO Fund, and WI Harper. Last week, at Hello Tomorrow — a global technology summit in Paris — we announced a new financing led by Solvay Ventures, the VC arm of the world-leading chemical company, Solvay. Solvay was one of our marquee early customers and their investment represents a “doubling down” on the breakthrough potential of our technology. You can read more about our partnership on TechCrunch. We are thrilled to have brought Noble out of stealth with such a stellar team of investors and partners, and with TechCrunch sounding the bullhorn! R&D professionals at world-leading companies like Solvay are already leveraging Noble to achieve more across data integration, knowledge management, and invention. 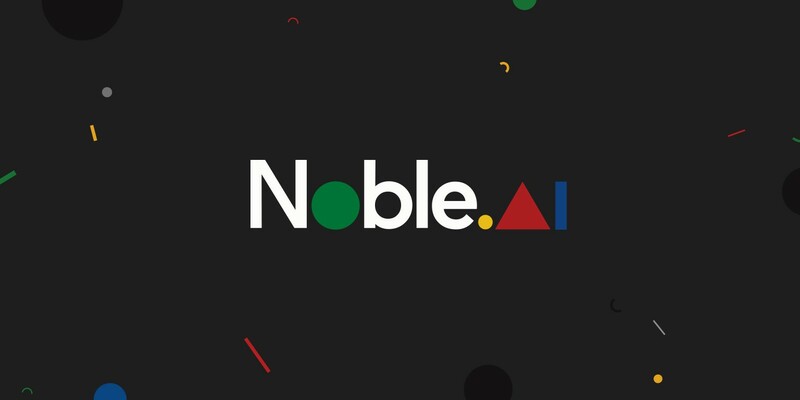 Noble.AI builds AI tools that lower the cost of enterprise R&D. Our mission is to partner with the world’s most important R&D organizations, to accelerate their process of innovation and help them bring products to market faster. By structuring and centralizing access to complex data, and by automatically ruling out candidate experiments that could never occur in the real-world, the Noble Platform enables R&D teams to work with vastly higher productivity to achieve innovation. Lowering the cost of enterprise R&D.